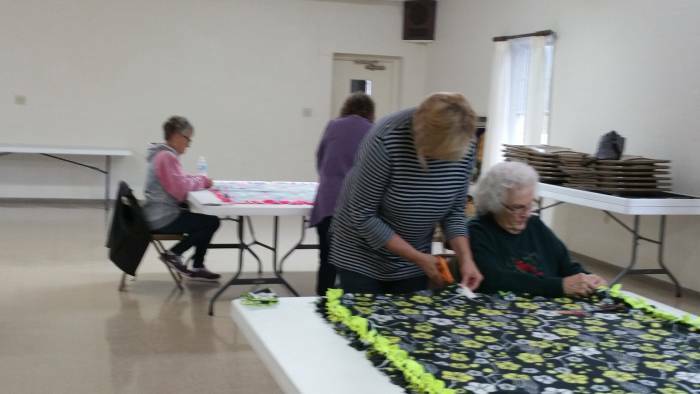 Blankets of Love is a relatively new mission of the Paoli United Methodist Church. We took over this mission from the New Hope Methodist Church near Salem, Indiana. 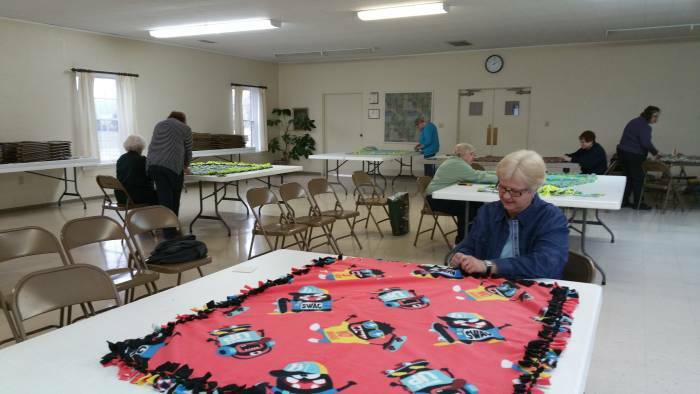 We are making blankets to give to the children of the women who come to the women's shelter in Salem. These children often arrive at the shelter afraid and without any of their belongings from home. We hope the blankets will provide some comfort to them. 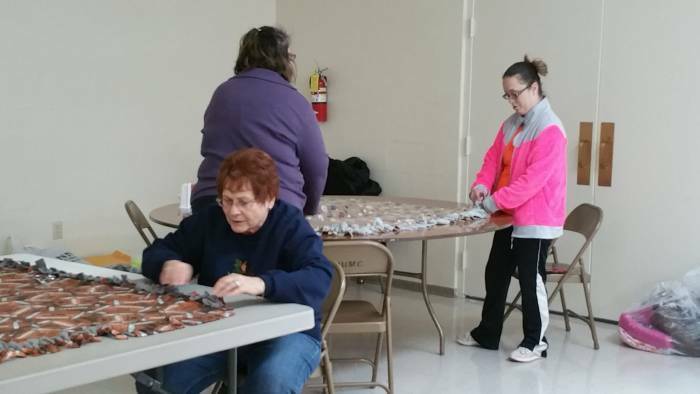 The Salem Leader-Democrat published an article describing the women's shelter. 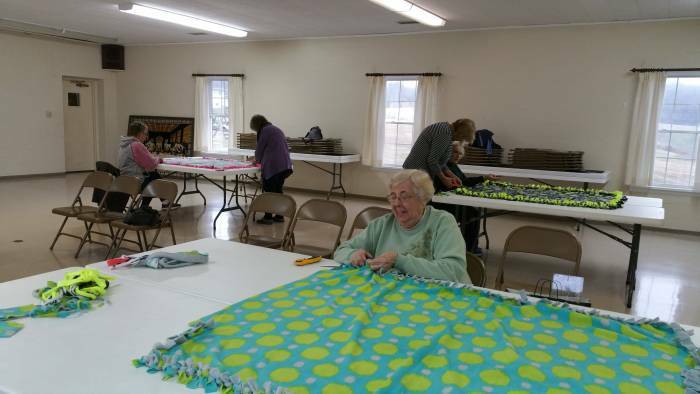 Members of our church meet in the fellowship hall once a month to make the blankets. 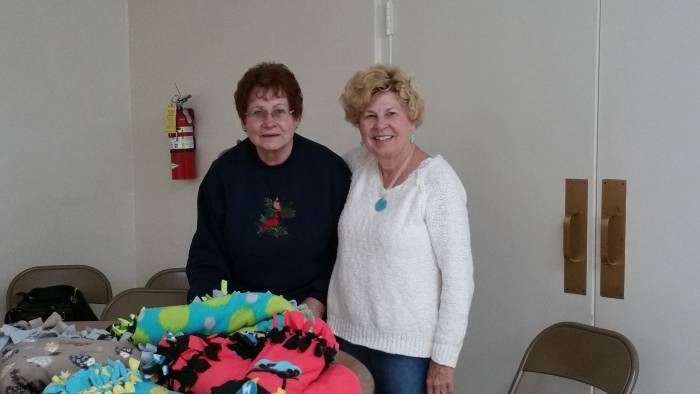 The blankets are a fleece material that we cut and then tie knots. Everyone is welcome to participate. 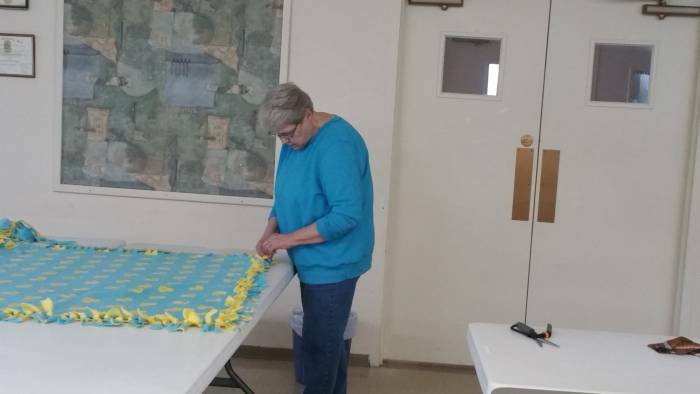 Annabelle Rominger works on one of the Blankets of Love. Elizabeth Faulkner, Karen Detweiler, and Rochelle Kirkman. Joanne Stroud, Ann Babcock, DeeAnn Harmon, and Mary LaVerne Boston. Elizabeth Faulkner and Beverly Magner.